777® Brand Canned Mackerel In Oil, worlds most famous brand canned fish. Premium quality mackerel in oil and full of flavor. 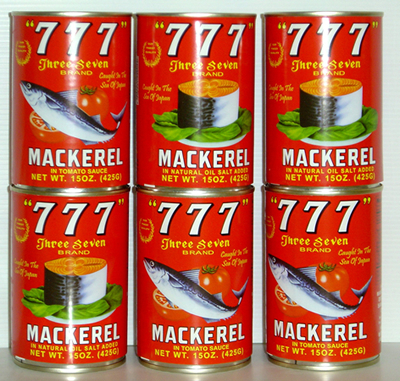 777 Brand Mackerel is a favorite of Asian and Pacific Islanders. Available in 15oz size cans. Islanders Choice® Brand Canned Mackerel, a delicious and famous brand of canned fish. A favorite brand of Samoans, Tongans, Fiji Islands, & Philippines etc. Islanders Choice Mackerel is excellent for any special functions, parties, occasions, or just a tasty meal! A premium quality brand at an affordable price and is a popular brand in big demand. 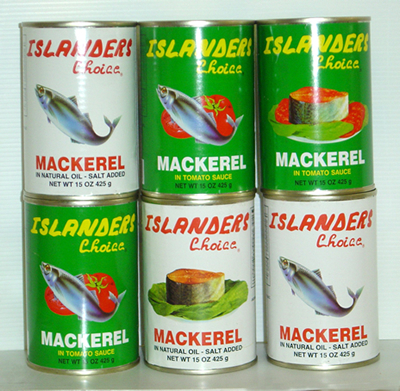 Islanders Choice Mackerel is available In Tomato Sauce (Green Can) and In Oil (White Can), in 15oz size cans. 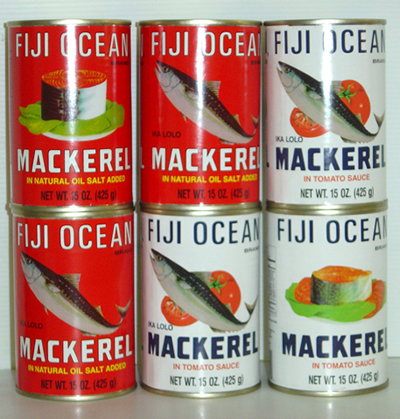 Fiji Ocean® Brand Mackerel, very popular brand canned fish. A top seller and favorite of many generations! An icon brand of the South Pacific Islands. Kapa Ika LoLo, Pili Kaki Lololo. Fiji Ocean Mackerel is packed with top quality fish and is a market-leading brand! Available In Oil and In Tomato Sauce, in 15oz cans. 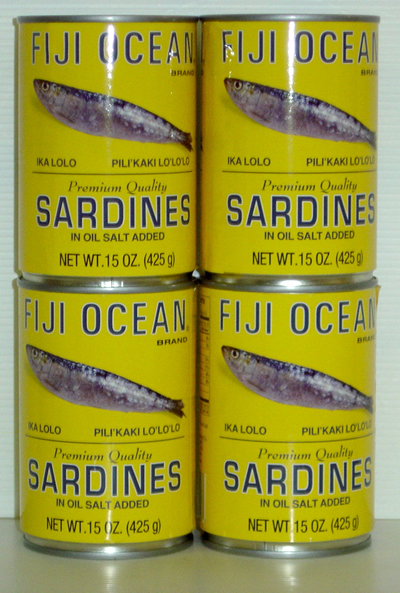 Fiji Ocean® Brand Sardines In Oil are a very popular brand of fish. Packed with top quality premium fish! Fiji Ocean Sardines are great for a delicious meal or snack anytime. Fiji Ocean brand is a market leading brand and in great demand! A favorite of Pacific Islanders and Asians! Makes a great gift for loved ones. 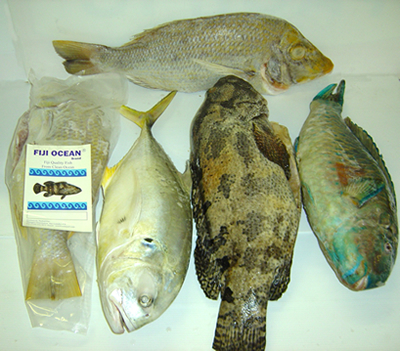 We also import a large range of tropical fish and seafood from the South Pacific Ocean region. Great and traditional for Pacific Islanders!